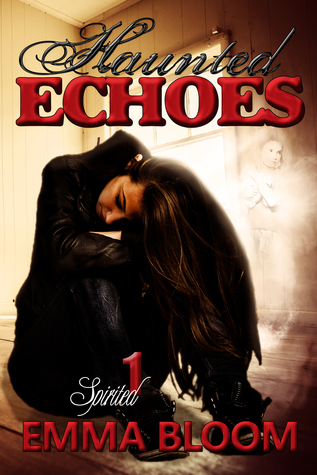 Emma is giving away two ebook copies of Haunted Echoes all you have to do to be entered to win is CLICK HERE and follow the instructions on the pinned post. 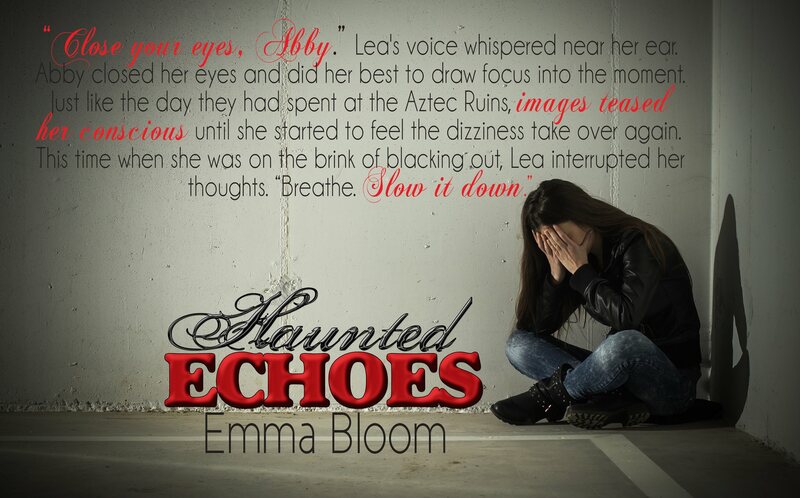 This giveaway is sponsored by Emma Bloom and Rough Draft Book Blog. 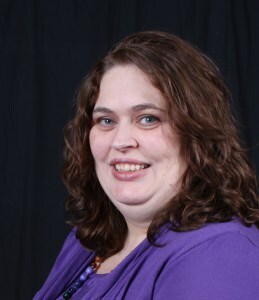 The eBooks will be gifted by Emma through Amazon. I love going to get frozen yogurt with my girls. We take our time choosing different flavors and adding different toppings. Every visit is a new adventure when the flavors are constantly changing. I don’t mind living in Illinois, unlike some of my friends. Winter is cold, no doubt about that, but I wouldn’t appreciate Spring and Summer nearly as much if I only had one constant season surrounding me all year round. Besides, some of my favorite memories were building snow forts with my own Mom when I was kid. My favorite young adult series is definitely Harry Potter. When I was student teaching one of my students introduced me to his favorite author, J.K. Rowling. At the time, I picked up the first book just to see what he thought was so great about it. In a matter of hours, not only did I understand, but I was hooked. When each book came out, friends would find me unreachable. I would hole myself up in my room and have a non-stop read-athon. Speed read, much? Yes, yes I do! My favorite color is purple, although I find myself highly attracted to bright blues, I think it’s because my daughter loves that color the most. She inspires me in every aspect of my life, so I think I’m slowly growing to love everything she loves too. 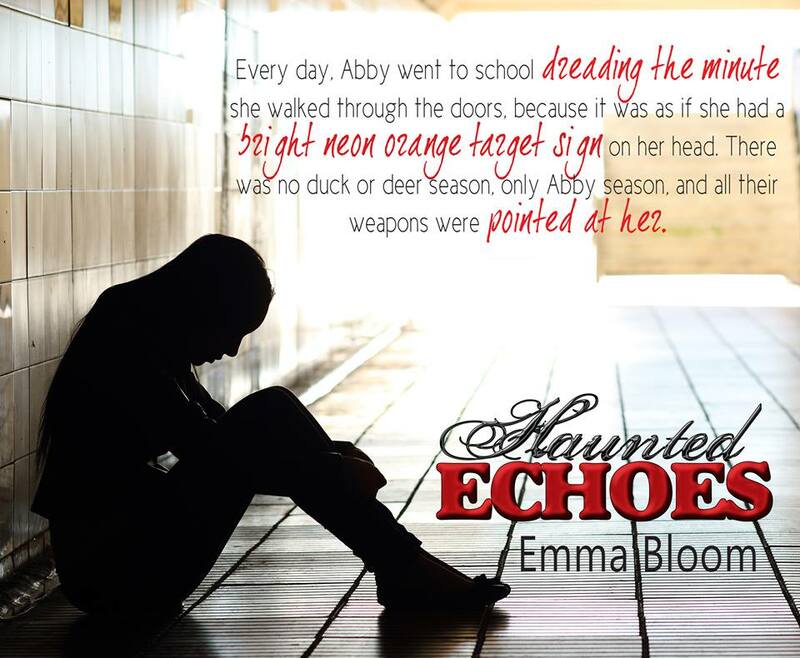 This entry was posted in Paranormal, Urban Fantasy, YA and tagged Emma Bloom. Bookmark the permalink.